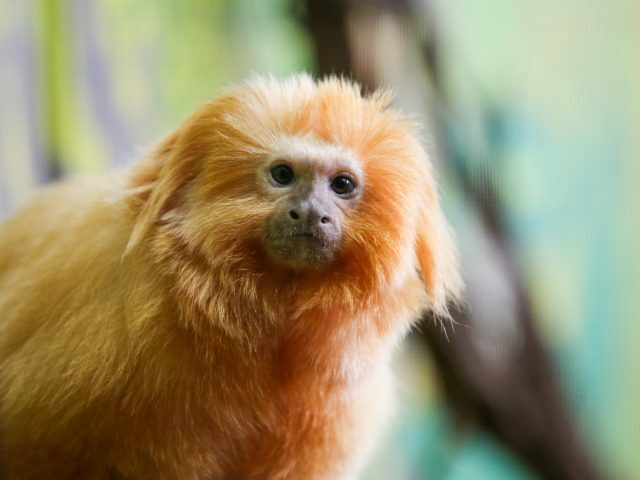 The golden lion tamarin derives its name from a mane of long golden colored hair on the top of the head, cheeks and throat. 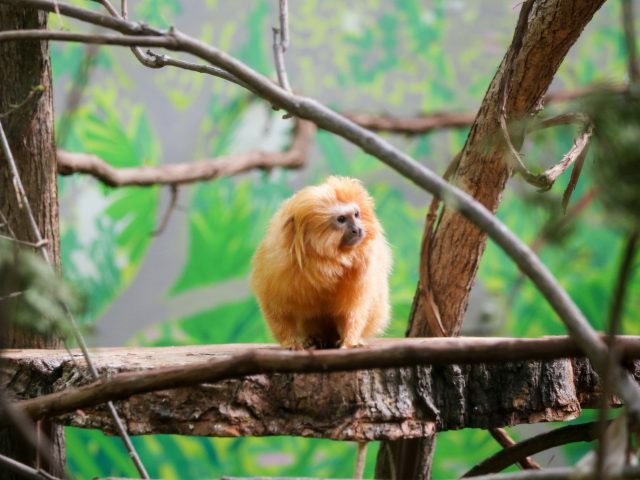 Occasionally orange, black, or brown coloration is seen on the tail and forepaws of this squirrel sized monkey. Their partially webbed fingers help give them a firm hold on tree limbs, and their fingers are almost as long as their forearms! The extremely long tails are not prehensile but help them balance as they move across vines and jump from branch to branch. Diurnal and predominantly arboreal, it is usually found at heights of 10-30 ft above the forest floor, where it inhabits abandoned nest holes. They live in small family groups of 3-8, and group members groom each other to strengthen social bonds. 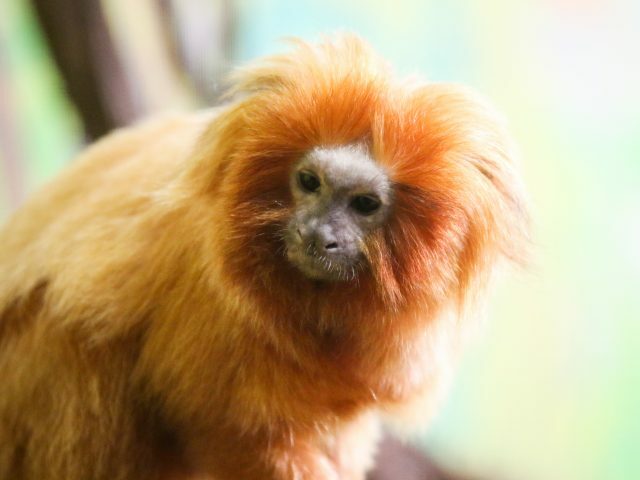 Golden lion tamarins are territorial and rarely stray far from the nest hole. When rival groups meet, they engage in ritual scolding, chasing, and scent marking but rarely fight. 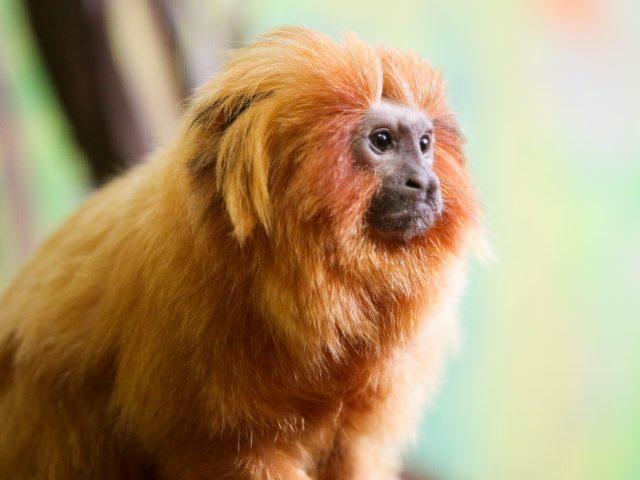 Golden lion tamarins are very vocal, and 17 different calls have been documented. 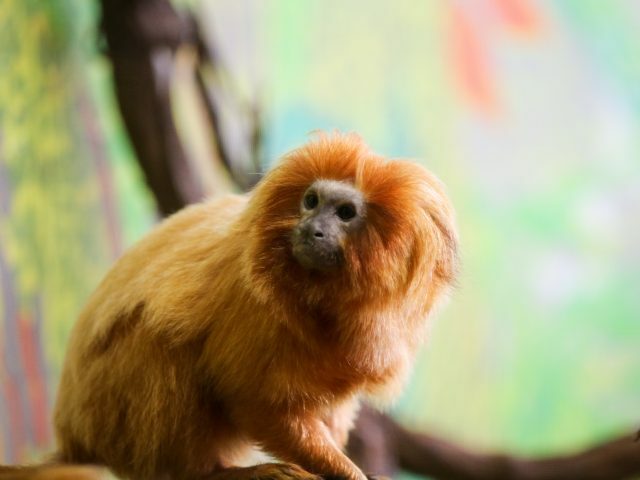 A protected habitat has been developed at a reserve in Brazil, and the Golden lion tamarin has become a source of pride to Brazilians and a national symbol of conservation awareness. 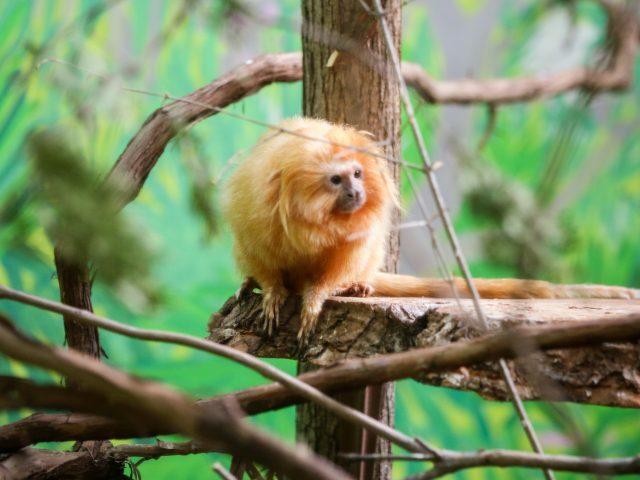 Our two tamarin, Colby and Cheddar, are siblings that were born at the Audubon Zoo. 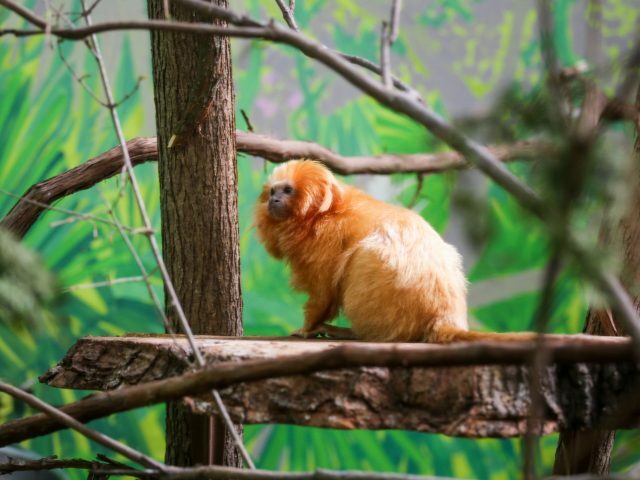 They have lived at Potter Park Zoo since 2013. The head and body length averages around 11 inches, while the tail adds another 13 inches! 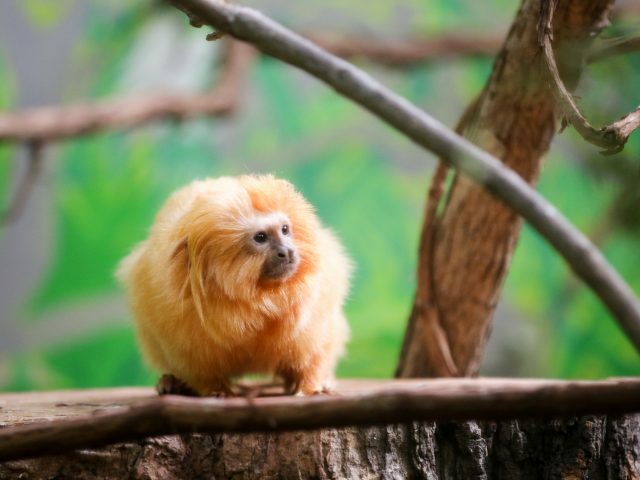 Wild golden lion tamarins typically weigh 1.2 to 1.5 pounds. 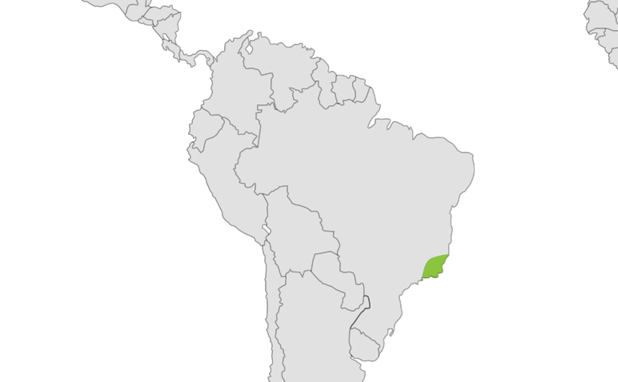 Mainly fruits during the wet season, tree saps and gums during the dry season. They also eat insects as well as vertebrates like lizards, snails, frogs, snakes, birds and their eggs.